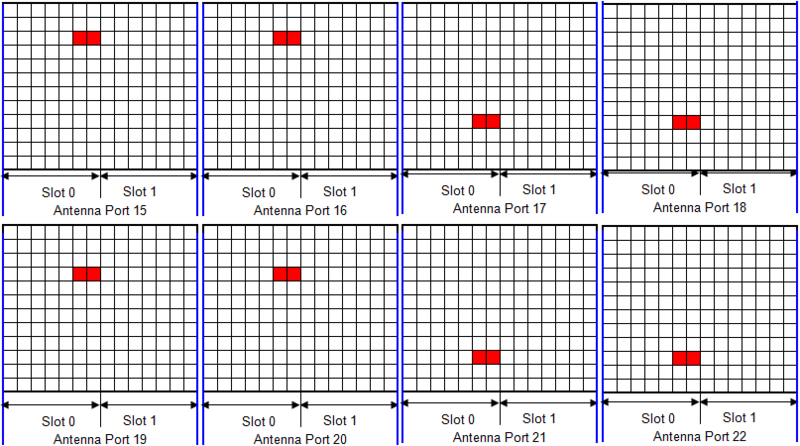 CSI reference signals are transmitted on one, two, four or eight antenna ports using p = 15 , p =15,16 , p =15,...,18 and p =15,...,22 , respectively. 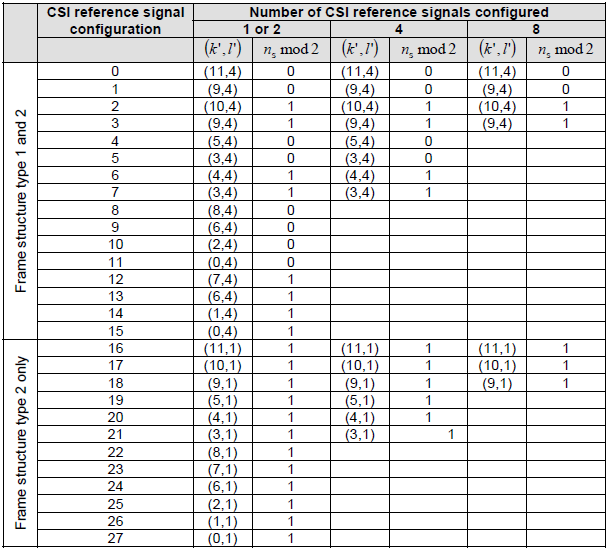 In 36.211(V10.7.0) - 6.10.5.2 Mapping to resource elements, the location of CSI reference signal is defined as below. 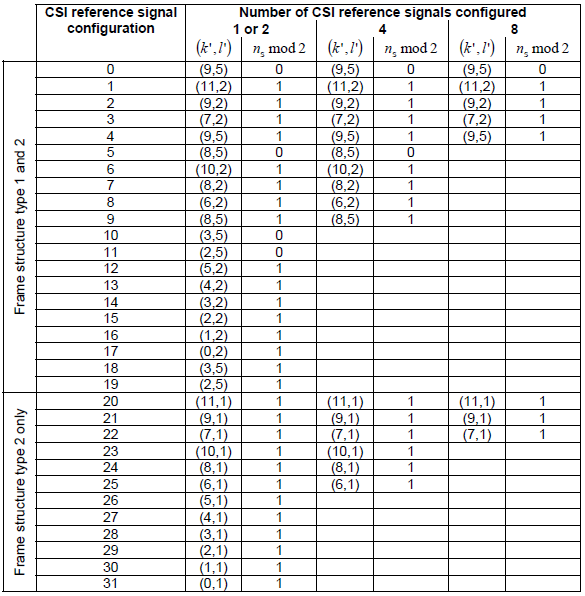 Following is based on 36.211 Figure 6.10.5.2-1: Mapping of CSI reference signals (CSI configuration 0, normal cyclic prefix). 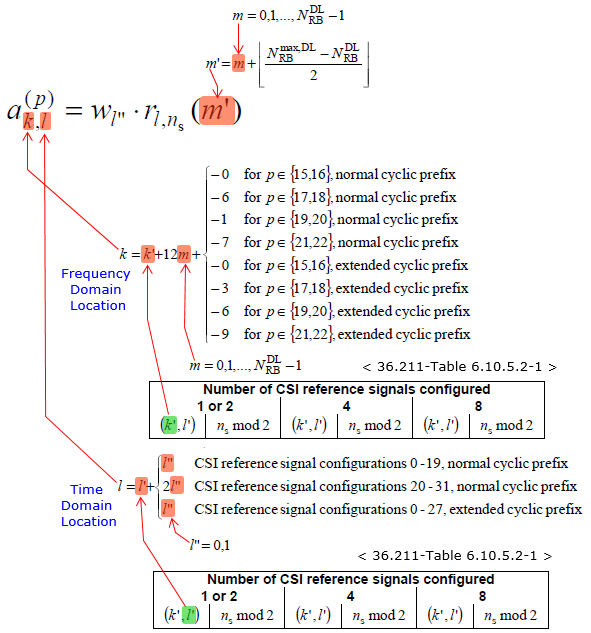 This is an example showing the location of CSI RS when the CSI Reference Configuration 0 (i.e, k' = 9, l' = 5) is applied for the subframe with normal cyclic prefix.